After a near-perfect game on Tuesday’s victory against the Lightning, fans were hoping for a repeat performance for Thursday night’s must-win contest against the Washington Capitals. Up to this point, both teams had won one contest to split the season series. 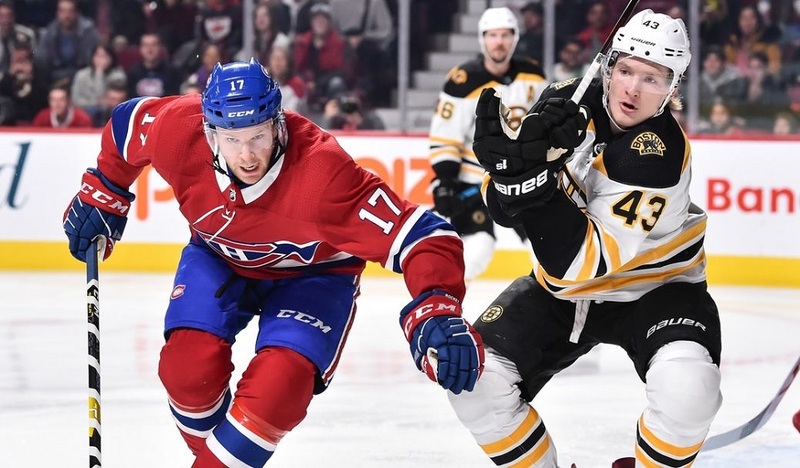 As expected, Claude Julien made no changes to the lineup after Tuesday’s great effort. This meant that Carey Price remained in the net to face Braden Holtby. The game was not as entertaining as Tuesday’s though I would say the Habs tried every bit as hard. 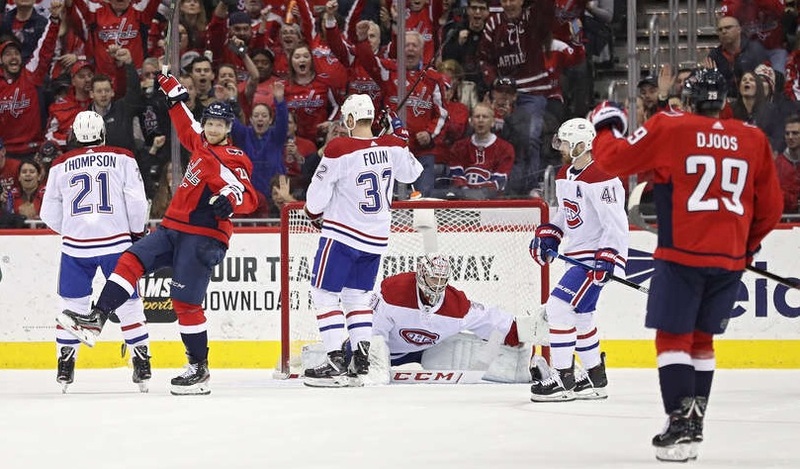 The difference was that the Caps were defensively aware of what Montreal was bringing to the table and had a plan to keep the speedy but talent limited Canadiens off the scoreboard and they succeeded as they pulled out a 2-1 win to clinch the Metropolitan Division. With a Carolina win, the Habs’ playoff lives rest on the Columbus Blue Jackets losing both of their remaining games. Slim chances now. 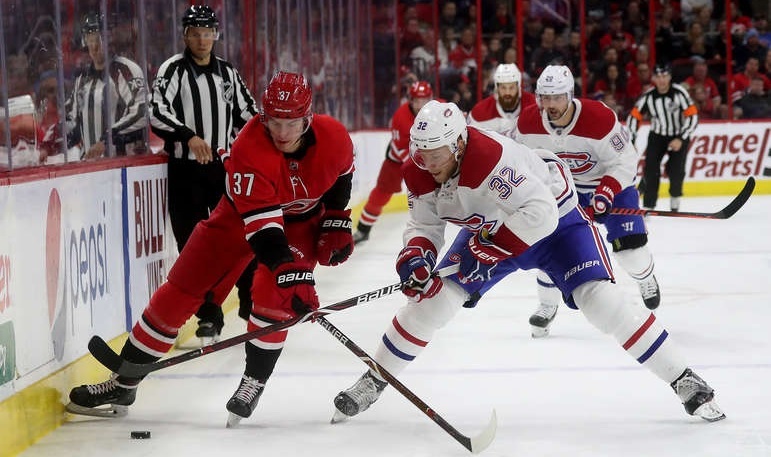 Montreal once again came out flying but Washington had clearly seen Tuesday’s effort as they were ready for it and defended much better than the Lightning. In the opening minute, Evgeny Kuznetsov snuck by Shea Weber and found himself alone in front of Price only to be denied. The Habs responded by outskating the Capitals for the rest of the first five minutes of play as unsuccessful scoring chances were had by Victor Mete, Artturi Lehkonen, Andrew Shaw, Jeff Petry, and Tomas Tatar. While these scoring chances were happening, the Capitals were busy attempting to deploy a common tactic used against the Habs as they used physicality and multiplied the hits early. If the Phillip Danault line led the charge on Tuesday, it was Max Domi’s line creating the best offensive chances early in this one. Washington adjusted from the series of chances and kept Montreal at bay for the rest of the period as it was mostly played between the two bluelines with very little scoring chances coming in the second half. With 90 seconds to play, a basic dump in by the Capitals was misplayed by Christian Folin. They took advantage of the miscue and caught Jordie Benn in a breakout position as opposed to covering the front of the net where Lars Eller was all alone to receive the pass and deke out Price for a 1-0 Washington lead. With a minute left, Nicklas Backstrom caught Lehkonen with a high stick while accepting a hit. The power play lost the initial faceoff but quickly came back, got set up, and though the initial play between Danault and Joel Armia was unsuccessful, the puck bounced out to Weber who was cheating in and found himself with an open net to tie the game with only 28 seconds to go in the period. That’s how the period ended with a 13-9 shooting advantage for the Habs. The Danault line came out and got three good chances on the opening shift of the second but couldn’t solve Holtby. Paul Byron turned the puck over in the worse possible spot (just inside the defensive blueline) three minutes in. This terrible play was caused by Andre Burakovsky who quickly gathered the puck and found Nic Dowd in the slot who used the T.J. Oshie and Folin as screens to beat Price. Jakub Vrana got the next scoring chance as he forced Price to make a nice glove save. This was worrisome because it was not the response to a goal allowed seen against Tampa Bay on Tuesday night. To be fair, it appeared as though both teams were going full throttle and only the pairing of Benn and Folin were incapable of following the game’s pace as the play found itself sustained in Montreal’s zone for most of their second-period shifts. With 11:31 left, Weber was guilty of an obvious interference minor to send a dangerous power play to work with the chance of scoring an important goal. The Habs penalty kill stood tall tough and kept the game within striking distance. Near the eight-minute mark, Washington broke out on a 2-on-1 that Weber defended well, but the puck took a strange bounce off Weber’s skate and this forced Price to make a great save with a flailing arm to once again keep the game close. If Weber’s infraction is to be called as it was before the midway point of the period, then the Capitals should have been called for approximately seven interference minors over the next five minutes of play. They weren’t called and so Washington got the next good scoring chance as another 2-on-1 ensued but Price once again stood tall. Price then managed to stop an Ovechkin partial break as he was facing much better scoring chances in the second period as indicated by the 10-7 advantage in shots for the Caps. The Habs were in desperation mode for the third and they needed a better effort than the end of the second period. What the first five minutes offered was good scoring chances, but those came at both ends of the ice as Price once again had to come up big early in the period (so did Holtby). Montreal was creating as many turnovers as they did on Tuesday. The big difference is that the Lightning panicked and didn’t cover properly whereas the Capitals trusted their system and shut the door to the slot after the turnovers were created. This was so clear in the third when the Caps played cautiously and still managed to completely stifle the Habs scoring chances. With eight minutes to play, Ovechkin came in and found Backstrom open in the slot which forced Price to make yet another gigantic save. The Habs then kicked it up a notch on the forecheck as they forced the pace and played in the offensive zone. The problem remained that Washington was extremely focused defensively and the Habs weren’t adapting their strategy. They continued to look for the passing play instead of firing pucks and outworking the Caps to rebounds. They applied crazy amounts of pressure in the final minutes and it culminated with Petry hitting the post. Aside from that Petry chance though, the Habs worked their butts off but on the perimeter of the zone, never really challenging Holtby and were unable to get the equalizer. For the entire second half of the game, Price made excellent and timely stops to keep the team’s chances alive. There is no way a 2-1 loss lands on the shoulders of the goaltender no matter how much money said goaltender makes. Honestly, if the Habs could have pulled off a second goal, we’d be talking about Price stealing points for the team. Stats: 29 saves, 31 shots against, .935 save %, 2.05 G.A.A., 58:29 T.O.I. Petry was stellar all night long as he had the speed to cover for his own pinches that needed to happen to outman the defensively super aware Capitals. He was easily the most dangerous player in the third period as he actually brought the puck to the net instead of looking for passes all the time. Stats: 0 points, 0 (+/-), 3 shots, 24:15 T.O.I. Much like the rest of the team, Domi’s effort was without question. Much like the rest of the team, Domi has to learn to read the game situation and adapt. The Capitals were completely blocking off the centre of the ice, but Domi continued to try to work his way through it instead of driving wide, firing on net, and trusting that Shaw and Lehkonen would get there for the ugly goal. Still a strong effort on his part. Stats: 0 points, 0 (+/-), 6 shots, 15:54 T.O.I. For the second game in a row, Gallagher was snake-bitten around the net despite getting a list of chances. These chances went away for Gallagher in the second half, mostly because Danault and Tatar weren’t shooting. Stats: 0 points, 0 (+/-), 4 shots, 2 hits, 19:14 T.O.I.